People with severe psychosocial disabilities have a 20-years shorter lifespan due to chronic somatic comorbidities and the long-term consequences of the side-effects of antipsychotic drugs. They often are sedentary and show lower levels of physical activity, factors which can contribute to their shorter lifespan, because of the greater cardiovascular risk. 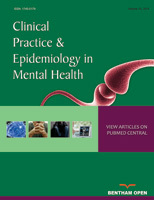 An increasing amount of evidence, including clinical trials, pointed out that sport, physical activity and structured exercise programs improve physical and psychological wellbeing of people with psychosocial disabilities, playing also an important role against their social isolation and self-stigma. The NICE and APA guidelines include exercise and physical activity for the management of depressive symptoms. Safe and effective programs require multidisciplinary teams that should always include mental health professionals, able to recognize the psychosocial needs, the impact of symptomatology, the role of secondary effects of psychotropic medication, the effect of previous exercise history, the lack of motivation, the inexperience with effort intensity and the frustration of people with psychosocial disabilities. Keywords: Sport, Exercise, Physical activity, Psychosocial disability, Psychosocial rehabilitation, Multidisciplinary.